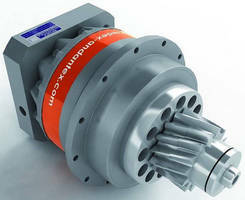 Roller Pinion System offers a life of up to 36 million meters. Featuring corrosion resistant stainless steel construction, Roller Pinion System engages two teeth simultaneously with zero backlash. 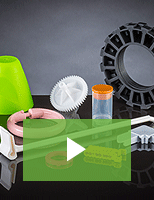 Delivering an accuracy of ± 50 um and a speed of 11 m/s, product is suitable for laser cutting, plasma cutting and gantry applications. 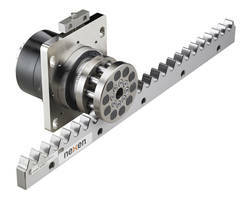 Product is designed with durable ball screw, belt drive technology, rack and pinion. 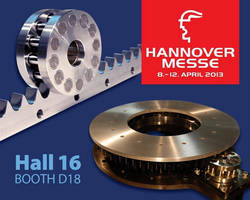 Roller Pinion System yields up to 36 million meters of travel. 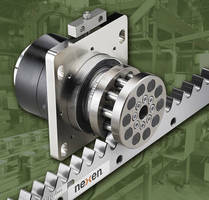 Preloaded Double Pinions eliminate backlash. 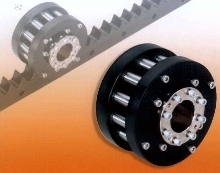 Dual-Pinion Drive suits precision rack and pinion applications. Flanged Pinions feature quality level of DIN 5. Featuring compact design to minimize amount of drive torque required, ISO 9409-1 TR Flanged Pinions are available in straight and helical-toothed versions, in metric modules 2.0 through 8.0. 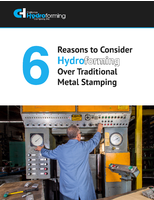 Hardened and ground units are suited for pick and place robots, traveling gantries and columns, and material handling axis drives. 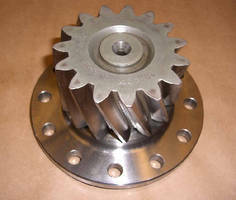 Roller Pinion provides ball screw alternative.